Would You Like The Stench Of Fry Grease With Your VR? 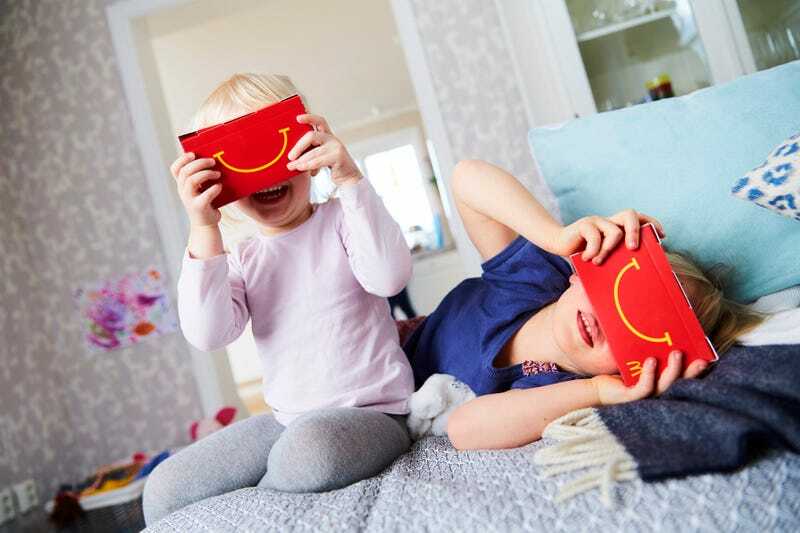 Nightmare children of the future, courtesy of McDonald’s Happy Goggles, a Happy Meal box that transforms into a cardboard VR headset for your phone. Currently being tested in Sweden, where everything folds into something else.